Now a fully restored public event space, the John King (J. K.) Roop House is a great example of community involvement in restoration. The following history and much more information can be found at their website. 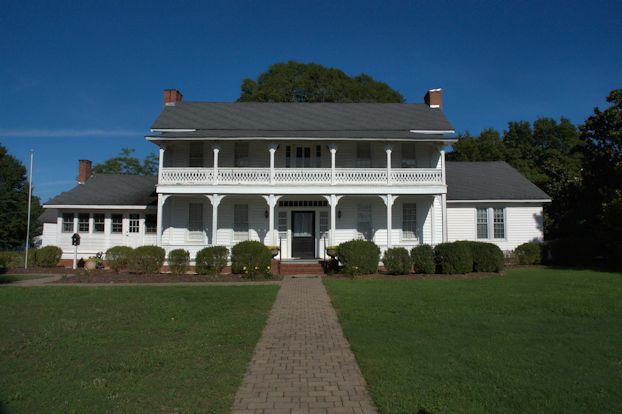 The first Roop to live in the southwestern area of Carroll County was Martin Roop, the father of John King (J.K.) Roop whom we consider to be the founding father of Roopville. 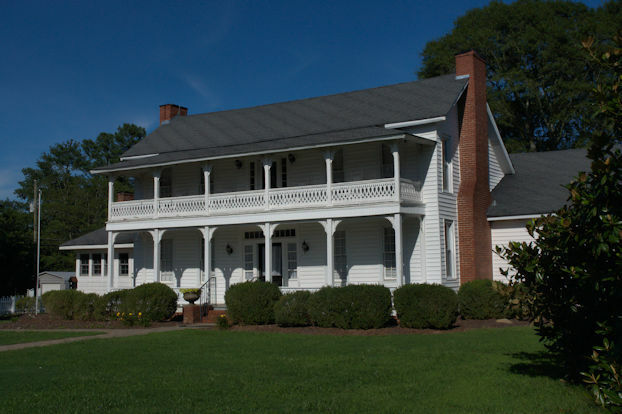 Martin grew up, met and married Mary Elizabeth King (1839), while they were still living in Union County, SC. In the 1850’s they moved to the area where Roopville now stands. Martin and Elizabeth had 11 children. J.K. was the oldest son of Martin and Elizabeth Roop. In 1861 he enlisted in the Confederate Army serving in both Company D of the First Regiment of Georgia Infantry and in Phillips Legion Calvary. He married Eliza Moore in 1872. To this union were born 5 children. J.K. became the owner of over 2000 acres of land, much of which he donated to enhance the growth of the area. He built several stores, a mill, a blacksmith shop and homes which he would sell to new people coming into the area. J.K. was a charter member of Roopville Baptist Church, Worshipful Master of Goshen Lodge 71, in 1880 and he served on the Carroll County Board of Education.